Results for category "Print Media"
The Pakistani Entertainment Industry has been trying hard to get up from its fall since last few years. Looking at the art’s footprint in the history of Pakistan, you will see that there were two forums for such activities. One was street performance and other one was formal style mostly practiced in the educational institutes. In 1980’s era in Zia’s reign, the NGO’s were given permission to create awareness through theatre performances. Lahore and Karachi were two main hubs for such art performances. Lahore’s performances were more of hilarious since the residents had command over Urdu as well Punjabi language. Being a bilingual city, the city enjoyed a lot more! On the other hand, Karachi owns communities of Parsi and Christian residents that enjoyed English plays as well Gujrati. The overall flavor of theatre industry in Karachi was western. With a lot of potential, Pakistani Theatre Industry has created decent projects in the past and got appreciation from all across the world. With great performers like Umer Shareef and Moin Akhtar, the stage dramas were being directed to the vulgar side. With no story portrayed on stage, women added vulgar dance elements and became a source of an entertainment. With a lot of change, the stage dramas became an entertainment to a certain class and the concept of family entertainment totally vanished. This door of entertainment closed its door for most of the people of Pakistan and lead to indecent activities later. Last year, the well known writers of Pakistan Imrana Maqsood and Amra Alam played their roles to bring back the audience into the theatres again with their drama “Dhani”. Produced by Shan, 2 famous actresses Sanam Saeed and Sarwat Gillani led the story of Dhani. The show lasted for almost 15 days in Arts Council Karachi with jam packed audience. The revival of our theatre industry is only possible through acting, costume, story, props and how the stage space is used for the performance. Pakistan , because of its fastest growing rate of literacy is becoming an important market for Print Media industry . Recently in the last few years many international high ranking Newspapers have started printing their local additions for Pakistan in collaboration with the established print media organisations of Pakistan . daily Express in Pakistan, most recently Financial Times have also developed an arrangement of distributing its local version with the largest Newspaper publishing group of Pakistan, which is jang group of publication. 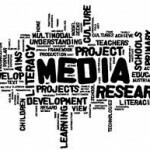 However, if we have to decide in our media plan about the selection of Urdu or English Newspapers , it is quite a task and depends on the target audience of media campaign. In general , the popular mass media in print media industry are Urdu Newspapers and among them the most popular one is Jang , specially for the purpose of classified and display advertising and they claim to have largest circulation .Even the English readers prefer to look for jang ,if they need to see some ads in any specific category . However, it does not make jang an only popular Urdu language newspaper in Pakistan, daily Express, daily nawa e waqt , khabrian , pakistan and some other are important and these are considered as second tier newspapers in Pakistan. The print media market in Pakistan is not squeezed as a whole , like it has happened across the globe because of extensive use of gadgets ,digital and social media , but it has effected the revenues of daily Newspapers ,either in English or Urdu.Interestingly many magazines and journals have been launched successfully and have got their share of readership in the last few years .Selected genres have got very strong position in the market and they are being distributed in very innovative manners in the metropolitan cities . Some magazines about fashion are sold on traffic signals and their entire stock is disposed off ,within a day . Lately in Pakistan photo journalism is the new trend and it is very popular among the elite class , GT magazine is one of the example out of many available on stalls .The language in those magazine does not actually matters a lot but the most glamorous and glitzy pictures with high quality printing make them look very appealing to a passer by .Generally the language of such magazines is English but some are available in Urdu as well .